ICD-10 is only six months away. 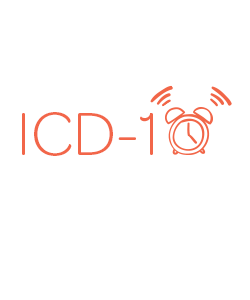 Have you put off preparing for ICD-10? If so, you can’t wait any longer. This major change could have an impact on your bottom line. As a small business, you can’t afford not to be prepared. This webinar offers four simple steps to help make the transition easier on your practice. As we near both the six months to ICD-10 mark and the congressional vote that will likely seal in that date, various surveys and updates are hitting the wire. Here are several key highlights from the latest ICD-10 news. Kareo has acquired DoctorBase, an innovator in the emerging category of practice marketing and patient communications. Wouldn’t it be great if chronically ill patients could leave your practice feeling like they’d spent two hours with their physician – without the physician spending any more time than a standard office visit? It’s possible through the magic of a group visit program. 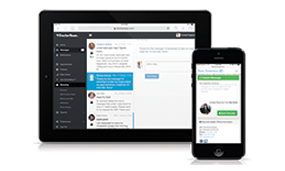 Sign up for a free demo and find out how DoctorBase can help you grow your practice! 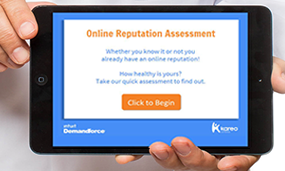 Take this free assessment to find out how your practice ranks. If you missed one of our recent webinars, never fear! You can easily access recordings of past events at the Kareo Resource Center. Looking for great tools to help grow your practice? Check out the Kareo Marketplace Applications. 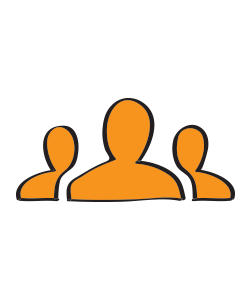 These solutions are integrated with your Kareo software and can help you stay competitive. Become a Friend of Kareo & reap the rewards! Do you love your Kareo software and services? Then Friends of Kareo is for you! It's a great opportunity to share your story with other practices and get some fun prizes in return.